Theranos, the biotech company started by a 19-year-old Stanford dropout, has another hurdle to cross in its whole "we're totally a legit blood-testing company" campaign. This time, it turns out that tens of thousands of blood tests were voided, making them totally invalid. Whoops! 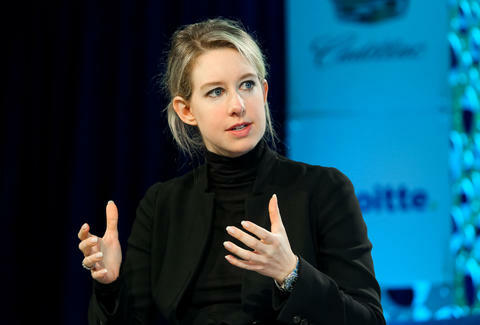 Update 11/29: A group of investors, including Robertson Stephens & Co. and Hilary Taubman-Dye, filed a new lawsuit against Theranos, hoping to turn it into a class action suit. To refresh your memory, Vanity Fair and The Wall Street Journal published shocking exposés on just how many (alleged) secrets and lies Theranos founder Elizabeth Holmes, who raised hundreds of millions of investment money, was hiding. The biggest of those was that the company's blood-testing technology didn't work at all like she said it did, a pretty neat trick for a CEO to pull. Theranos claimed to deliver full blood diagnostic testing results from a single pinprick rather than drawing blood intravenously, but the top-secret technology didn't live up to its lofty promises. Instead, the tests were administered the old-fashioned way, using competitors' technology. OK, using your competitors' tests -- which you've told the world you've improved! -- is pretty bad, but new details in a $140 million breach of contract lawsuit by former partner Walgreens reveal that the former billionaire-on-paper had even more to hide than we realized. Believing Theranos' technology was legit and that it could, you know, actually perform the blood tests they promised, Walgreens became one of Theranos' biggest partners. As part of their agreement, Walgreens opened Wellness Centers across the country where people could get their blood tested using Theranos' technology. The problem? The blood tests weren't exactly safe or accurate -- Walgreens claims Theranos “failed to meet the most basic quality standards and legal requirements." The company allegedly didn't tell Walgreens that 31,000 (11.3%) of the blood test results were thrown out, and Walgreens had to find out like all the rest of us schmucks: in The Wall Street Journal. The next day, Walgreens ended its partnership. Since the lawsuit was filed on the same day as America elected Donald Trump as its new president, the news kind of got lost in the news cycle. But the $140 million lawsuit is likely to be the final nail in Theranos' coffin -- despite Holmes' claims that Walgreens claims are "unfounded" and are causing damage to the biotech company and its investors. If Walgreens, Theranos' biggest and most high-profile partner, is upset, then this almost certainly spells the end of the once-lauded biotech company. Considering they were able to raise more than $686 million from investors, it will be interesting to see how the rest of this Silicon Valley disaster plays out. Christina Stiehl is a Health and Fitness Staff Writer for Thrillist. Follow her on Twitter: @ChristinaStiehl.